This weatherproof platform can be raised and lowered with included ratchets and requires assembly. Should only be fitted to a TFH Single Swing Frame (not included). Weight Limit: 280 lbs. Dimensions: Platform - L: 52" x W: 30"
It's great. Nina loves it. Good product , fairly priced. However instructions for platform a bit difficult to follow. Got there in the end. Would recommend. Swing awaiting assembly but very impressed with what we have seen. The service ,advise and help has been extremely good and I would recommend he company to anyone looking for like equipment. Looking foward to fundraising in future now we know how good you are. Thank you. Absolutely delighted ! Product is strong and sturdy, and needs to be concreted into the ground. My son weights around 10 stone and the swing feels really solid. He absolutely loves this. 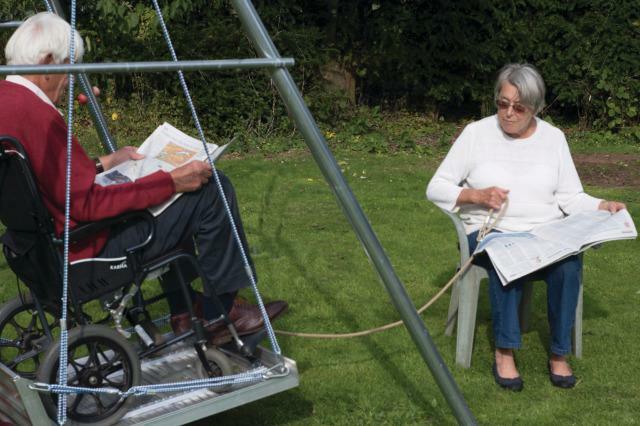 It is easy to strap and means that he has another activity to do in the garden. 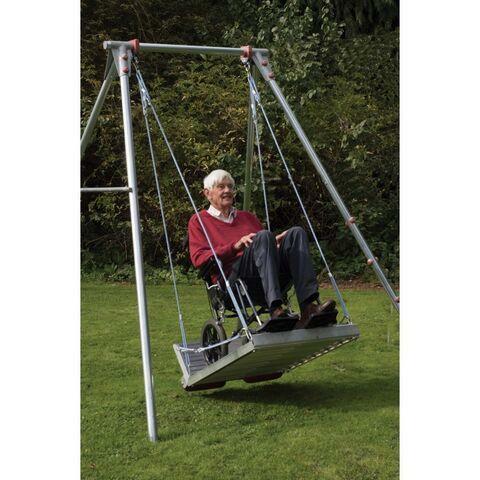 Ive looked for a wheelchair swing before but they were thousands of pounds. This is not a cheap product but is excellent value for money for the pleasure it will bring my son and is well made.